There’s a lot to think about when considering how much light a fiddle leaf fig plant needs. Getting enough natural light for your houseplants can be an ongoing challenge, especially during the winter months. Lack of sunlight is one of the most common problems for fiddle leaf figs, which results in the yellowing of leaves, brown spots, and leaf drop. Plenty of sunlight will make your plant healthier and more resistant to all other problems. Before you bring home a new fiddle leaf fig plant, it’s important to have a home ready with adequate light. 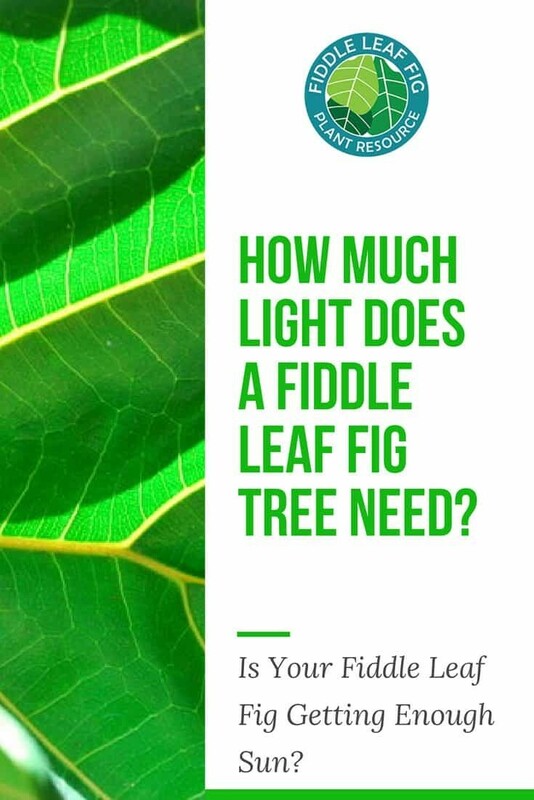 But how much light does a fiddle leaf fig tree need? Putting your fiddle leaf fig plant in a location without plenty of natural light is like spending time in a room without oxygen. Plants need sunlight to survive. They use sunlight as energy to perform photosynthesis, which is their combination of both breathing and eating. Without enough sunlight, all of their other functions start to suffer. When considering how much light to give your fiddle leaf fig, remember that they grow in the wild in Africa, where they get tons of light each day. You can actually grow a fiddle leaf fig plant outside in full sun in temperate areas like San Diego. Check out this 60-foot tall fiddle leaf fig at the San Diego Zoo. In general, the more sunlight you can give your plant, the better. However, fiddle leaf fig plants can do pretty well with moderate sunlight as well. 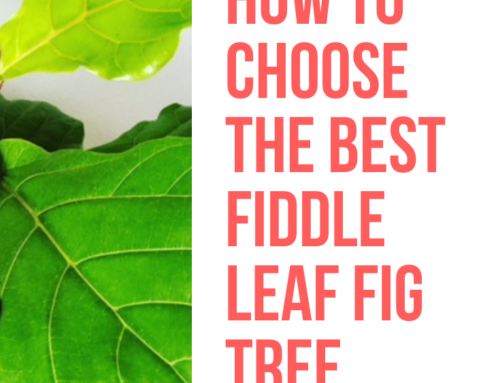 Where Should You Put Your Fiddle Leaf Fig? I’ve never had a fiddle leaf fig plant thrive unless it’s sitting in front of a large window. Don’t place your plant in the middle of a wall or too far from the nearest window. The best place to put your plant is in front of a large floor-to-ceiling window with an overhang outside to protect it from the hottest direct sun. Of course, we don’t all live in sunny homes with large windows, so you may need to improvise and work with the options available. First, consider the direction that your home faces. If you’re not sure, use your phone’s compass app to see which windows face which direction. If you live in the northern hemisphere, the windows that face south will get more sunlight, since that’s where the sun makes its rotation. This trend is exaggerated if you live very far north or south of the equator. If you live in the southern United States, even your northern facing windows will get sufficient light in the spring and summer months. Placing your fiddle leaf fig in a west facing window without protection from the strongest afternoon sun can risk burning the leaves. Yes, fiddle leaf figs live in full sun in the wild, but they also have protection from afternoon sun from the canopy of trees nearby. Ideally, you should place your fiddle leaf fig in a south-facing window, where it will get steady sunlight all day long. If your window is not protected by eaves or an overhang on the outside of your home, you’ll want your plant to sit back a few feet from the window so it doesn’t get too much direct sun on its leaves. Just as important as how much sunlight your plant gets during the sunniest part of the day is how much cumulative sun exposure your plant gets all day long. This is similar to the importance for people of drinking enough water throughout the day, not just at one sitting. Plants can’t store up sunlight for use later in the day, so they need 6 or more hours of bright light to do best. A south-facing window will provide the longest duration of sunlight. If your plant is facing east or west, it will only get sunlight for half the day or less. During the winter months, when the days are short, this could add up to only a few hours of light per day. To quantify the amount of sunlight your fiddle leaf fig plant gets, you can use a moisture and light meter like this one to actually measure the sunlight exposure. Another option is to hold your hand up in front of a white piece of paper. A dark shadow means there is bright light, a medium shadow means medium light and a light shadow means not enough light. Once you’ve quantified your sunlight, you’ll want to add up the total sunlight your fiddle leaf fig gets each day. Check your plant at 9 am, noon, and 3 pm. Tally up if the sunlight is dark (0 points), medium (1 point), or bright (2 points). At least 3 points are required for a fiddle leaf fig to be healthy and 4-5 points will help your plant feel even better. If you’re using a sunlight meter light this one, you can add up your readings. A reading of less than 200 lux is dark, up to 400 lux is medium, and above 400 lux is bright. When you tally up the three readings from 9 am, noon, and 3 pm, you should have at least a total of 600 or more for a healthy fiddle leaf fig. 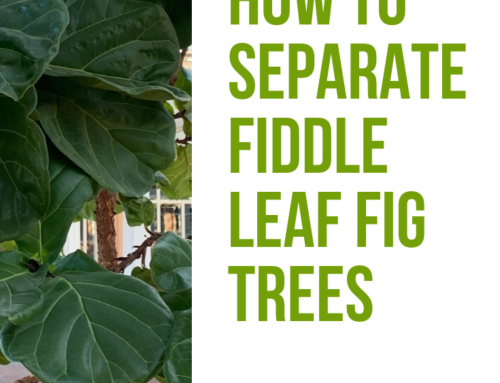 If your fiddle leaf fig is suffering from lack of sunlight, you’ll want to move it to an ideal sunny location with at least six hours of light. But what if you don’t have a south-facing window in your home? Place your plant in the next best location and take care not to over water. For plants without adequate sunlight, the risk of too much water is even greater. 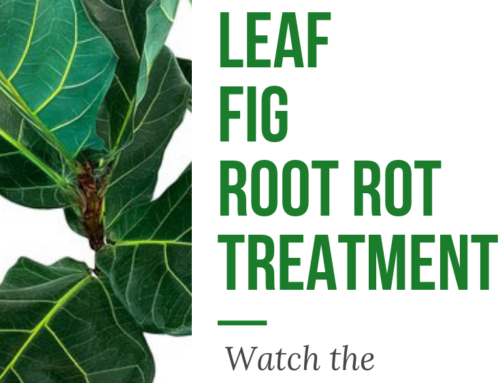 Fiddle leaf figs can adjust and thrive in less than ideal sunlight conditions, but the rest of their care becomes more important. 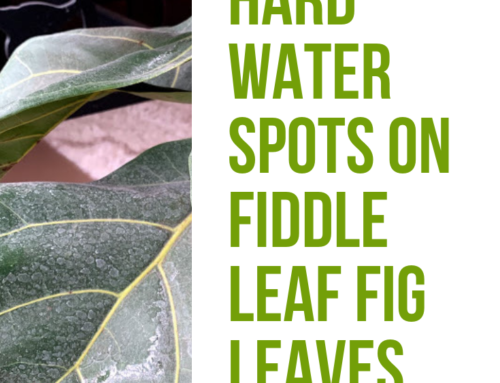 Water carefully, make sure to fertilize with fiddle leaf fig plant food, and rotate your plant once a week to make sure all of the leaves get access to light. You can also use artificial light to support your plant. Fluorescent and LED lights can provide the necessary red and blue wavelengths without the risk of getting too hot. You can use a normal floor lamp with a fluorescent or LED bulb near your fiddle leaf fig or you can purchase special lights for house plants. Aim for at least six to eight hours per day of artificial light per day. 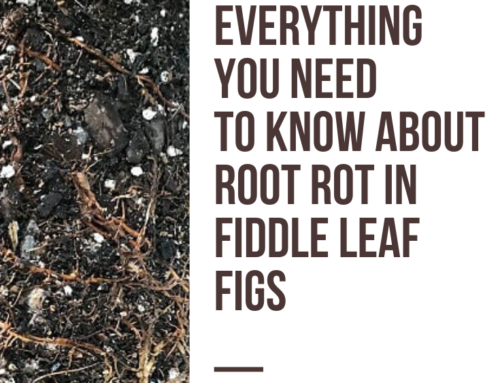 Read more about the four things that are killing your fiddle leaf fig tree plus how to save your plant from each deadly thread.